Sara was scared when they moved to San Diego. Mike, her husband, was an O3 in the US Navy, and from what she had learned from his colleagues’ wives, it would be from six months to two years before they could get their choice accommodation at the Naval Base in San Diego. San Diego military housing was bursting at the seams accommodating around 8000-9000 military families, with no less than 38 government housing sites scattered across the city and its suburbs. The only problem was that there was no room for around 25,000 more military families at the bases, so the overwhelming majority of them had to live out on their own arrangements. That was what was making her uncomfortable. Mike and Sara had always lived inside different bases after marriage, before Mike was reassigned to San Diego just after their 4th wedding anniversary. Four years are a long time, and Sara had become used to the convenience, security and social life that the base living offered. The shopping at the Commissary was cheap and hassle-free. The social life was great at the community center, where she had been attending cooking and music classes lately. The sports center was well equipped and very close to their house. She would have loved to move to on-base military housing in San Diego, but after looking at the situation, Mike had told her private military apartments in San Diego were going to be their most likely destination. Sensing the shortfall in housing, San Diego military and government authorities had embarked upon a number of joint ventures with private contractors in order to provide accommodation to servicemen and their families. The public-private partnerships resulted in the establishment of Pacific Beacon, one of the largest private military residential complexes offering luxury living and resort style facilities to individuals and families stationed at the Naval Base and other military units in San Diego. The arrangement also resulted in the establishment of Lincoln Military Housing in San Diego, which maintains multiple military communities in the city. These clusters of San Diego military housing replicate service accommodation available at the base, sans the facilities like the sports centers or community center. Living in these sites, you may still be a long way off from the base, but you’ll be required to surrender 100% of your BAH. The utility bills will be taken care of, but you may not have access to facilities like the Commissary or the swimming pool. 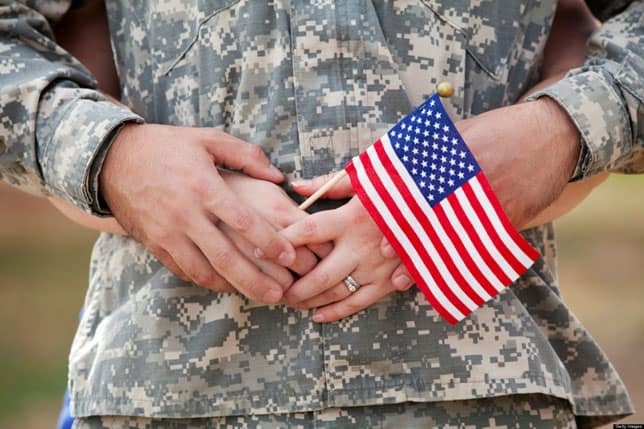 One of the most preferred accommodation option that many military families go for, are the resort-style military apartments in San Diego. Reputable private construction firms were quick to respond to the military’s housing needs in San Diego. As a result, a number of residential communities have sprung up around the city, where a nice and quiet environment surrounds luxury military apartments serviced with resort style facilities. Take Foxwood Apartments, for instance, where acres of lush green real estate has been landscaped to host private military apartments in San Diego Chula Vista area. Each apartment sits on an exclusive emerald patch amidst thickets of shade trees. The immaculately manicured gardens, cobbled walkways, and serene, relaxing environment make a breathtaking impact as you drive into this sumptuous residential complex for the first time. The chirping of birds and a refreshing sea breeze greet you as you step onto the pavement. You’ll feel as if you are in an upscale country club, but this type of military housing in San Diego has more to offer. 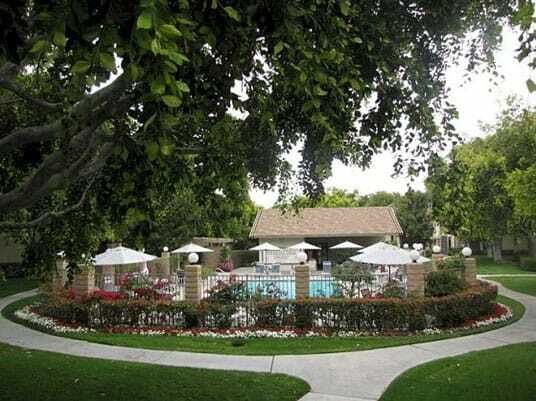 A beautiful heated swimming pool and a rejuvenating spa are among the facilities offered at such resort style military housing in San Diego. Fully serviced military apartments (such as Foxwood) also sport cleaning and laundry arrangements. 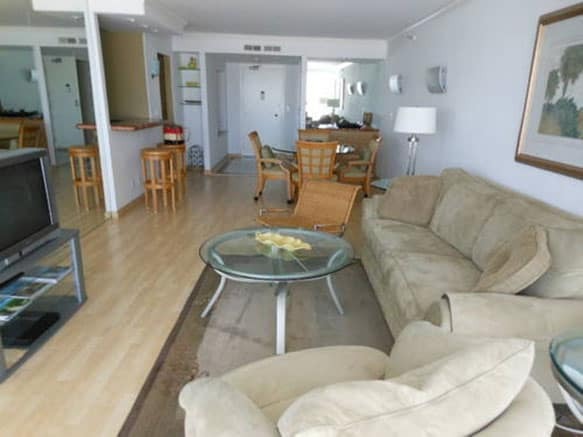 Professional managers and crews are assigned to the management and upkeep of these resort style vacation apartments, so the amount of attention to details and the standard of services is usually top notch. Sara and Mike were sold to the contemporary luxury and quiet peacefulness of the resort style apartments the day they visited the site, but what tipped the scale in favor of renting their excellent furnished military apartment in San Diego was even more wonderful than the quality of accommodation and facilities as Foxwood. It was the saving in rent. Being an O3, Mike’s BAH (Basic Allowance for Housing) was around $2500. They had a 3-years-old son, so a two-bedroom apartment would suit them perfectly, especially when it came with full furnishings and a modern kitchen. They could rent such an apartment at this excellent location for almost half their BAH rate. It was unbelievable. This meant a saving of around $1000 a month even after paying for utilities and gas. Sara and Mike did what most other military families do, move into a resort style, private military housing in San Diego. Most of the families living at Foxwood apartments for long or short tenures find the environment docile and the facilities at par with those at the base, if not better. The security, the services and the amenities are managed very efficiently. The furnishings are high quality and the interiors have been designed with soothing natural colors and materials. Each apartment is an independent island of peace and tranquility. Shopping at the Commissary? Heck, why not? You could always drive a few miles and get your groceries from the Base, which is located right next to Chula Vista. Many servicemen do their monthly shopping at the Base Commissary while living outside the Base. Are you coming to San Diego and worried about where you’ll be staying? Have you lived at a private military housing in San Diego? Please share your concerns or experience in your comments. Note: Names have been changed to protect privacy.